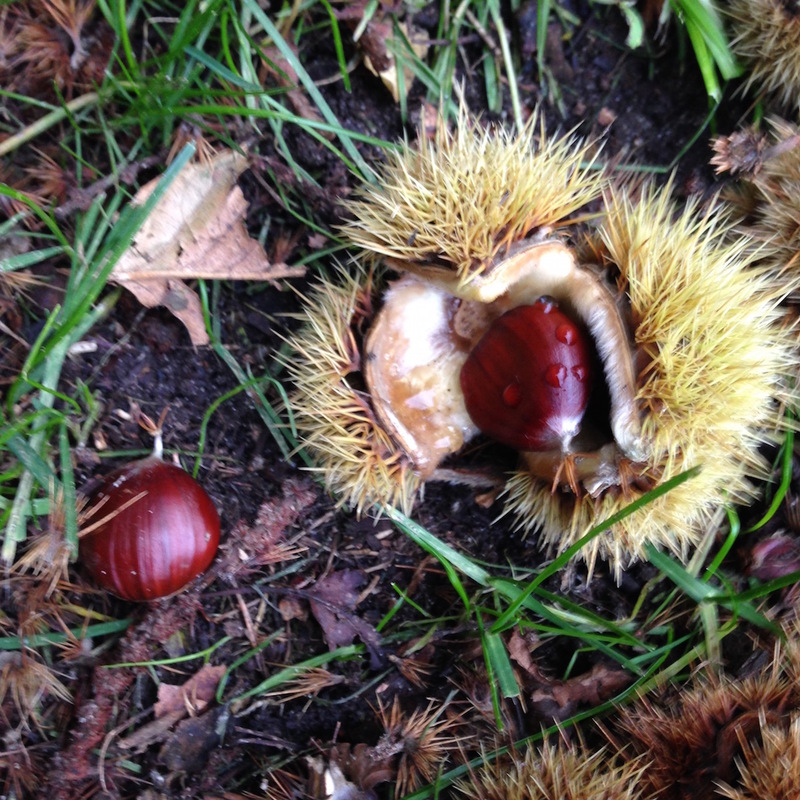 It is chestnut time here. 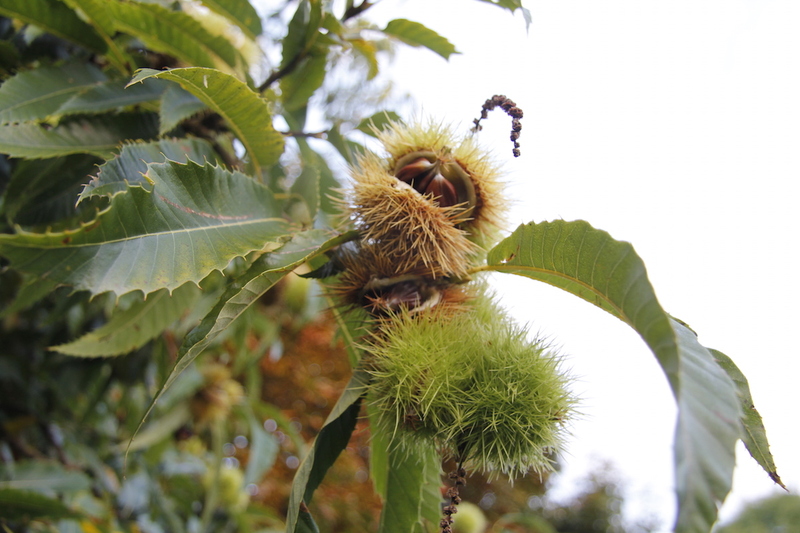 When I was young I used to go and collect chestnuts with my grandma from the chestnut wood (actually about 6 trees or so, but things seem bigger when you are smaller). We would then roast them on the fire and eat them. I still have the roasting pan. 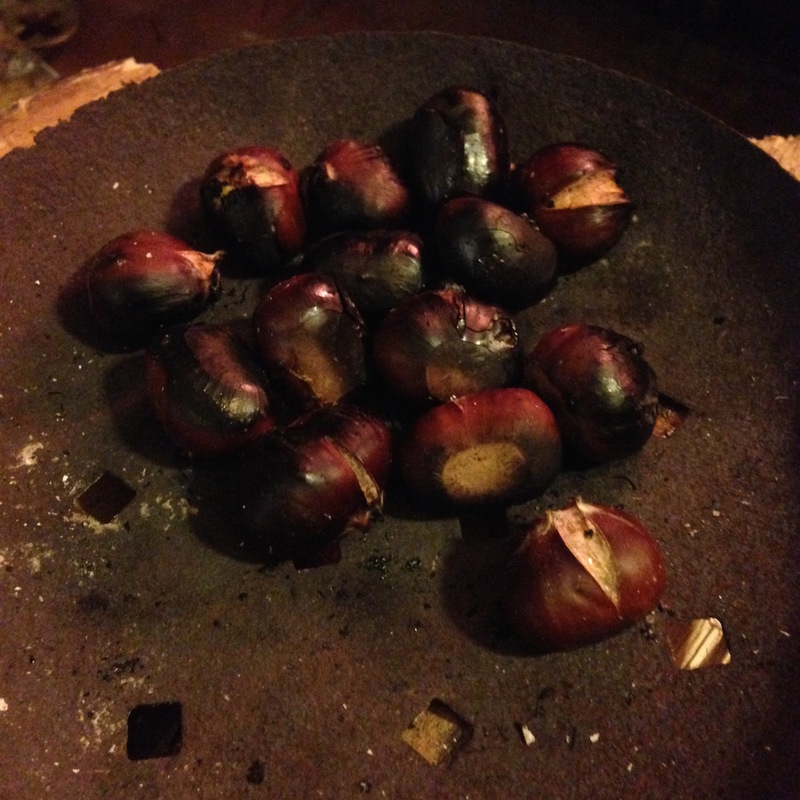 So this weekend we collected and roasted chestnuts. 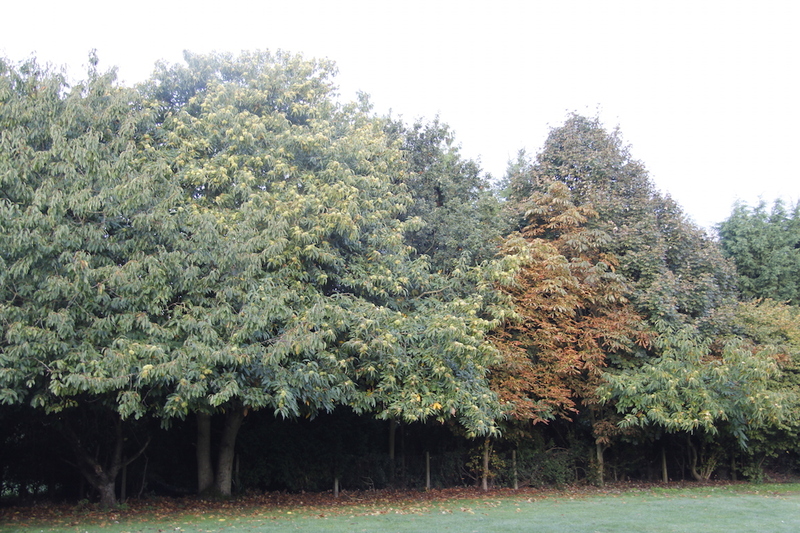 But the main difference is that now we have lots of chestnut trees on the campsite/smallholding thanks to my grandparents planting them decades ago. 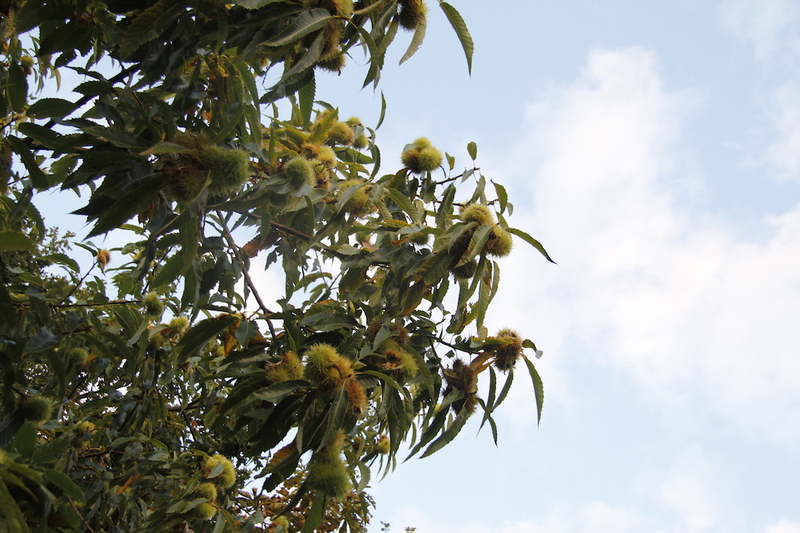 We collected chestnuts from these – and a few from the old chestnut wood for old time’s sake….. Sounds like a peaceful thing to do. Go gathering, then sit by the fire and roast and munch. Very nice. It’s really nice. I might go out at the weekend and see if I can collect enough so I can make a big batch of lentil and chestnut soup.